Apple early today updated its investor relations page to officially state that it will report its fiscal first-quarter (fourth calendar quarter of 2011) earnings on Tuesday, Jan. 24, when it will reveal the results of the iPhone 4S launch and holiday shopping season. Apple’s conference call webcast discussing Q1 - 2012 financial results will begin at 2:00pm PT/5:00pm ET on Tuesday, January 24, 2012. Current expectations on Wall Street call for Apple to report profits of $9.83 billion on revenue of $38.16 billion. A total of 46 analysts polled skew as high as $10.74 billion and as low as $8.88 billion in their predicted revenue. The company is also predicting all-time record iPhone sales as industry sales estimates have been pointing toward a similar record for Mac sales. iPad sales are also expected to be strong with a record number of sales. As for iPod sales, this quarter remains the company's strongest while iPods remain ones of the most popular gifts. Sources in Apple's supply chain told DigiTimes that Apple has begun reducing orders for the iPad 2 ahead of the unveiling of an anticipated third-generation iPad. 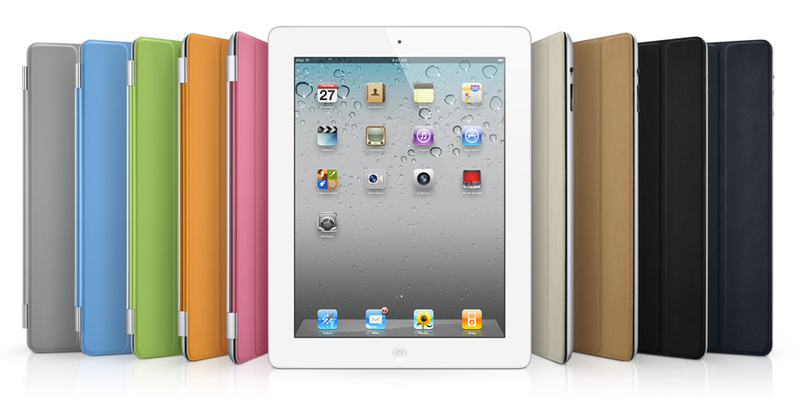 While iPad 2 orders are being reduced, orders for the next iPad, reportedly set to launch in March of 2012, remain steady. It's not yet known whether Apple will keep the iPad 2 around at a discounted price. There are some rumors claiming that Apple would remain it available at a discounted price in order to take on Amazon's $199 Kindle Fire. It is known that Apple has gained great success in continuing to sell older iPhone models at discounted prices. The iPhone 3GS is still remaining the number 2 smartphone in the United States. Various reports have suggested that Apple will continue to sell the iPad 2 at a discounted price after it launches a third-generation iPad. 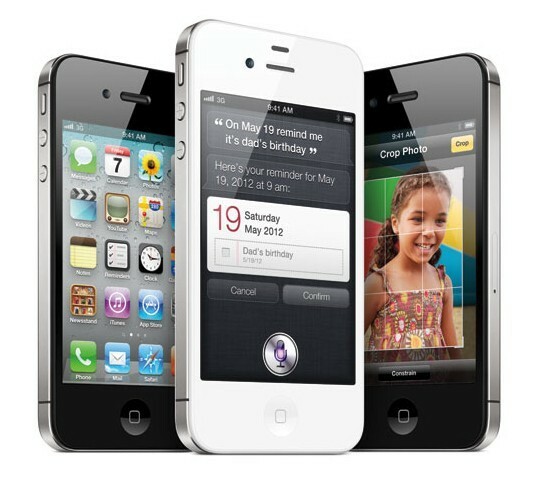 Apple already employs that strategy in offering the iPhone 3GS, first released in 2009, as an entry-level handset, in addition to the iPhone 4, released in 2010, and iPhone 4S, which just launched in October. There are also lots of rumors suggesting that in 2012 Apple plans to introduce new models of the iPad with different features at a number of price points. Many analysts believe that Apple indeed will launch the next-generation iPad with a high-resolution Retina Display. China's People's Daily reported this week that Apple had met all of the requirements for the iPhone 4S to launch in mainland China, and Ministry of Industry and Information Technology granted China Compulsory Certification for the iPhone 4S on December 22. The report claims that the handset will be launched in mainland China before the Chinese New Year that takes place on Monday, January 23, 2012. Filings with the Chinese government show a WCDMA phone manufactured by Apple was granted approval. Though it does not specifically reveal that the device is the iPhone 4S, it is listed as model number A1431, which is the same number Apple used to obtain a network entry permit for the iPhone 4S. 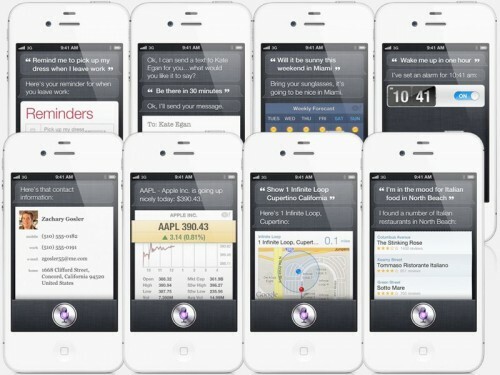 The approval process and anticipated release of the iPhone 4S has dragged out in China as Apple has quickly launched its latest smartphone in other major markets around the world. It's been the fastest rollout ever for a new iPhone model. 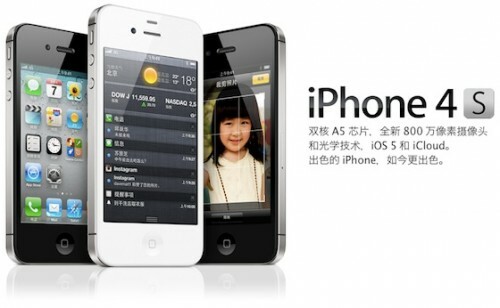 Some regional branches of China Unicom have already started taking preorders for the iPhone 4S in anticipation of the device’s launch. Moreover, Siri, Apple's voice-controlled personal assistant application, is rumored to gain support for Mandarin by March of 2012 that will obviously drive sales of the iPhone 4S in China. You can quickly untether your tethered jailbreak with Corona package from Cydia. 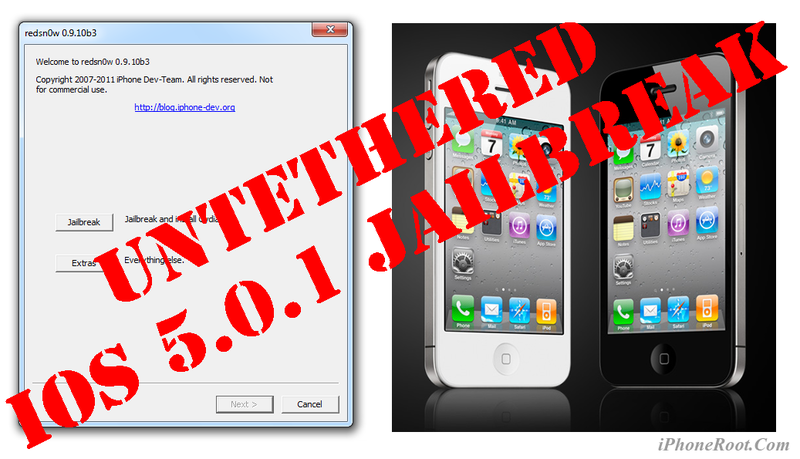 This works only is you have iPhone 3GS, iPhone 4, iPad 1, iPod Touch 3G or iPod Touch 4G with jailbroken iOS 5.0.1 firmware. According to a new study released by market research firm Distimo, despite the proliferation of handsets running Google's Android OS, which now accounts for 53 percent of the mobile smartphone market, Apple's U.S. App Store remains the top marketplace for mobile downloads. But Chinese App Store sales continue to grow and may even bypass Apple's U.S. App Store numbers in 2012. 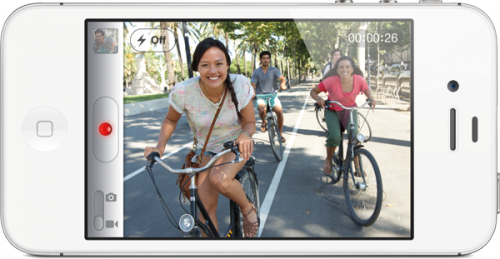 Over the course of 2011, Apple's iPhone app sales saw a steady decline month-to month, though Distimo blames the lull on the later than usual release of the iPhone 4S. The lowest point of the year occurred in September when anticipation for the 4S was highest, and was followed by a spike upon the handset's debut. Peak revenue for the U.S. App Store came a little over a month after the newest version of Apple's smartphone was released. The same "anticipation effect" was seen in app sales for the iPad, as downloads declined in January and February only to pick up steam after the iPad 2 was released in March. 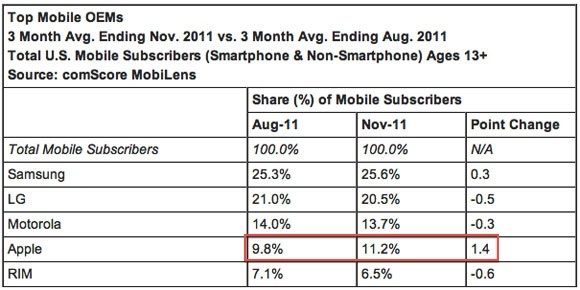 China now demonstrates a strong increase in downloads through 2011 and may surpass the U.S. App Store in 2012. 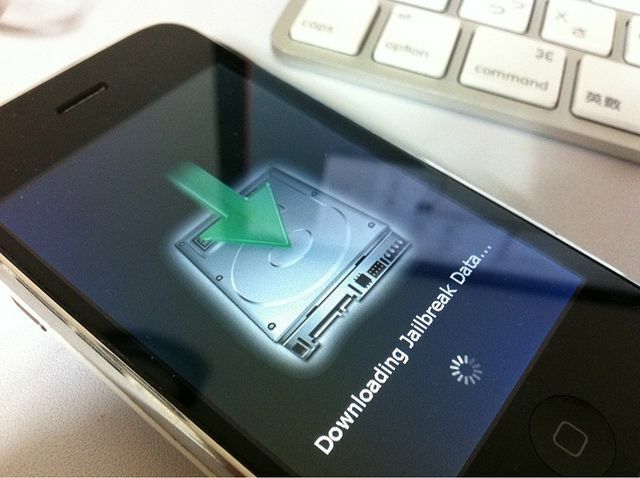 For now the jailbreak is tested on all devices, including iPhone 4, iPhone 3GS, iPad 1, iPod Touch 3G and iPod Touch 4G. iPad 2 and iPhone 4S status is "work in progress". If you have one of the supported basebands and wish to update to iOS 5.0.1 you will need to do so with a custom ipsw that doesn't update your baseband.